Quirky independent label from Yorkshire currently developing acts including live British dance-rockers Kava Kava and award winning French jazz-hip hop band LA Cédille. 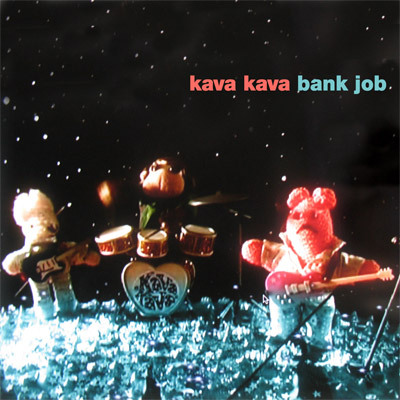 Recently Kava Kava played Festivals including Glastonbury, Cork Jazz, Beijing Midi, SXSW….LA Cédille touring with Herbaliser, De La Soul, DJ Vadim. Kava Kava's music has been used for soundtracks including "Weeds", "John From Cincinnati", 3 songs in Courtney Cox’s "Dirt”, 4 in Hollywood film "Boys & Girls Guide To Getting Down", computer games including 2009’s snowboarding "Stoked" plus spins on US taste maker radio stations like KCRW. Label honcho Pat will also be in SXSW representing his vocal collaborations with Hospital Records artists London Elektricity and Nu:Tone and the work he undertakes with Yorkshire's Timeless Music Project.